Cubs win 7-3 and take the series from Arizona, three games to one! 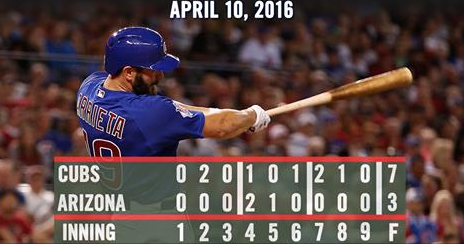 Jake Arrieta notched another quality start and also homered for the first place Cubs. 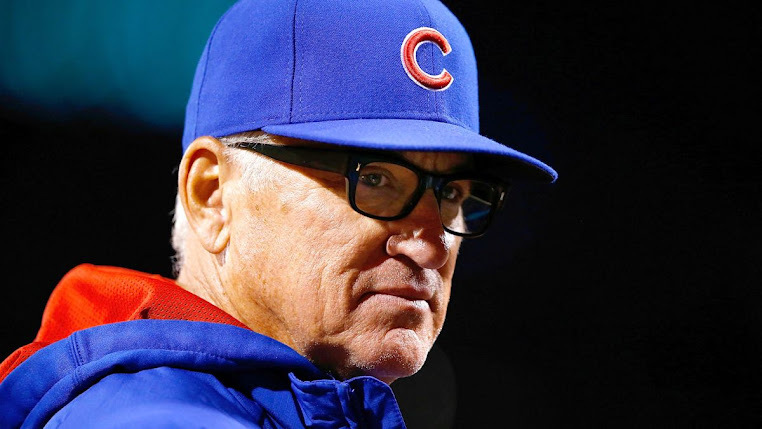 Munenori Kawasaki got a hit in his first-ever Cubs at bat, Jorge Soler blasted his first homer of the season, Miggy reached base in four of five plate appearances, and Tommy LaStella went 3-for-4 with an RBI and a run scored. Only one of Chicago's seven runs came from the first four batters in the lineup (Heyward added an RBI). Gotta like the production from the middle and bottom of the line-up. The Cubs' home opener is tomorrow night vs. the Reds, who are currently tied for first with the North Siders; both clubs are 5-1. Jon Lester will face off against Brandon Finnegan, and first pitch is at 7:05 p.m.